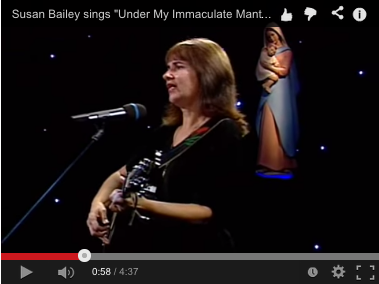 Home › Susan Bailey sings "Under My Immaculate Mantle"
Susan Bailey sings "Under My Immaculate Mantle"
Susan Bailey sings "Under My Immaculate Mantle." This song is from her book and CD, "Mary, Queen of Peace Meditation Guide & Sung Rosary." Visit www.sungrosary.com for more information.